[Did I spell that right? I’m new at the y’all-ing business. My grammar policeman of a father is going to just throw in the towel at that opener]. Hopefully you have a grand weekend planned. Tomorrow I am headed to MamaCon with a buddy. Friends! No kids! Spa! Should be fantastic. Meanwhile, Chris is dreading the day. Oh? You probably haven’t heard: Emma still isn’t taking a bottle. Fun times. Here are a few links from around the web this week. Why so many men don’t stand up for their female colleagues (more complicated than you think). The luckiest unlucky man in the world. Train crash. Airplane crash. Bus crash(es). Car crash(es). The man is a walking miracle. Rising CO2 levels in the oceans aren’t just a problem for future generations. The effects are apparent right now. Acidification impacting organisms in the Pacific Northwest. Fun maps of your state. The highest paid public employee in Washington State: The UW Football coach. And how big, really, is Alaska? You ain’t so large after all, Texas. Remembering when rowing ruled Seattle. Why death row needs to go. Or: the story of how we killed an innocent man. Long but worth it. The unsettling thing about Ellen. Wow, these are some amazing houses. And last but not least, Chris sent me this video today. THIS WILL BE US, SOMEDAY. Pipe dream? Maybe. But some dreams are worth fighting for, darlings. Buckle up kids, we’re going on an epic adventure. PS: Papa, can I borrow your GoPro? Read the rest of the poem here. Photo: National Geographic. Burma/Myanmar. 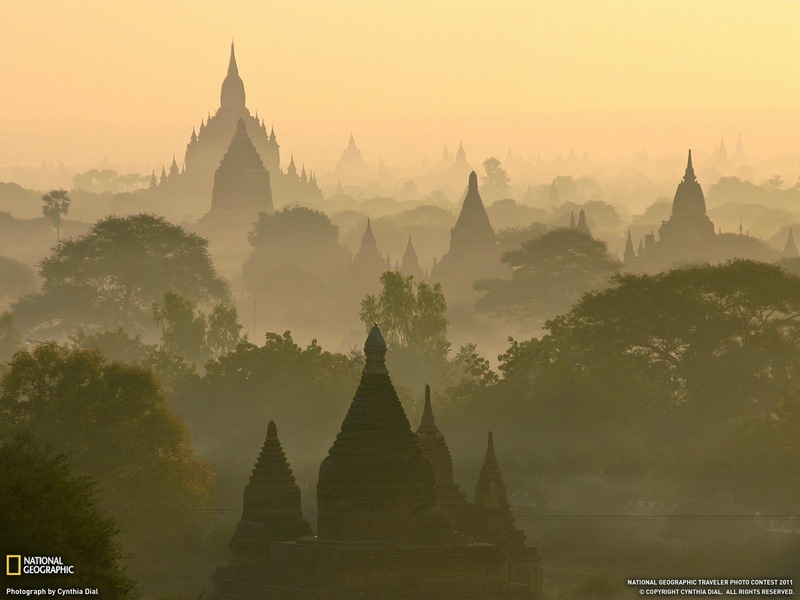 Bagan temples. I'm going to make it up to y'all one day and "y'all" all over the place and it will be fantastic. Also, I am so very pleased to know Uncle Tom has a GoPro. If he wants to go rip up Mt. Baker, tell him I'm down. No! I’m so sorry about the no nursing. That is really, really is the pits. Especially for Mamas - I totally feel you on the love/hate relationship with the breast pump. I give it the stink eye every time I pass by it in my office. Hang in there Jessika; these first few months are rough. You are doing the best possible job for your little bambino.